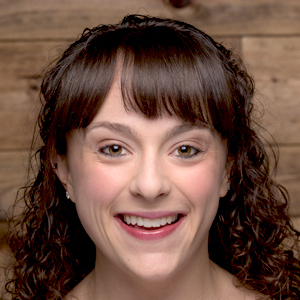 So now, when the all-grown-up co-founder and CEO of Love The Wild Seafood was presented with an opportunity to work with Aqua-Spark, the first investment fund focused exclusively on sustainable aquaculture, she headed straight for the bait. Until now, Love in the Wild has used 40 percent wild-caught fish and 60 percent farmed fish in its kits. With the new investment, the brand will be able to shift to using 100 percent farm-raised fish. Claudio says that the transition will be complete and all wild fish will be off shelves by March 1. The investment will also go towards helping the company deepen its retail footprint. The brand hopes to be in over 6,000 stores within the next five years. Another goal is the rehabilitation of aquaculture’s reputation. In its early stages, fish farms were known for being overcrowded with fish laced with antibiotics due to their high risk of debilitating injuries, infections, and diseases. But the move toward a portfolio of solely farmed fish products is, and has always been, the company’s goal. Claudia said she thinks this option makes the most environmental sense thanks to fish farming’s innovations in water quality infrastructure, vaccines and antibiotic usage and farming practices. 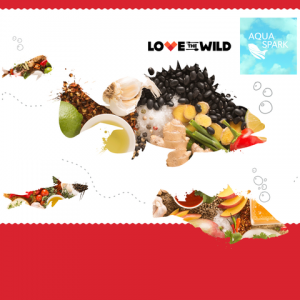 Aqua-Spark did not return NOSH’s request for comment, but in a press release described Love The Wild as “the ideal partner.” This will be Aqua-Spark’s first venture into the consumer market. Though there will be a learning curve, Claudia said she is not concerned, only excited about the partnership. Love The Wild exemplifies part of a larger trend of meal kits transitioning from direct to consumer to retail. In the U.S., 91 percent of fish is consumed the day it is purchased, which can be somewhat limiting for the on-the-go consumer. Claudia said she thinks Love The Wild’s shelf life and convenience provides a special opportunity for seafood in particular, which could gain popularity as a source of protein for millennials more so than ever before.